Taka…the taker in the old tongue, a king in his own dark place. He’s spent his life ruling his people peacefully, but now it’s all at stake. Earthquakes have destroyed his land, and now he must seek shelter for his people in a frozen desert with his brother. 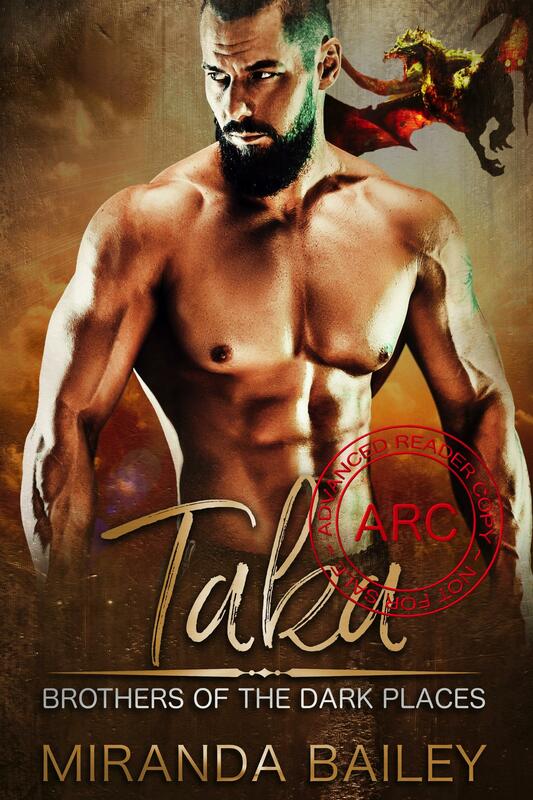 When an old enemy resurfaces, Taka does what he must, and fights to save his people. All he wants is her, though. He wants to live up to his name and take her to be his own. If he can make her see that she is his mate and there’s no running from the soul-mating. Aska…hard as stone, a lone wolf, and her father’s prodigy. When her father attacks the dragon shifters, she’s taken captive, but she will do whatever it takes to escape. Even if it means playing mate to the dragon that she can’t stop thinking about, despite herself. She’s lived a life of battle and pain, she’s not made for love or family. She has to stick to the plan, her father’s plan to make the fairies pay for making him an outcast as she aids in his fight to take over the world. All of the worlds. Even if it kills them both.